In some pagan traditions, and in cultures all around the world, the word “archetype” is used to define a model of a person who stands as a symbol of a collection of traits. As an example, a warrior could be considered an archetype of all that is brave and strong and honorable. A priestess might be seen as an archetype of wisdom and intuition. In goddess-centric belief systems, the triune archetype of Maiden/Mother/Crone is often invoked to represent youth, middle age, and cronehood. Psychiatrist Carl Jung used a system of archetypes to describe images that are related to a collective unconsciousness. He believed that every culture or belief system has common archetypes that everyone could relate to, whether that of the warrior, the priestess, the king, or others. He then carried this theory a step further in describing how archetypes were connected to our inner psyche. "I think we have to consider that the anima, although she may differ qualitatively when experienced by men or women, is that force of soul or psyche within both men and women which prompts and pushes the individual towards psychic and spiritual maturity, towards individuation—a mediator in the development of a consciousness much wider than the ego... If the anima is the 'chaotic urge to life' and a force beyond the controlling ego, then it is not surprising that both in the individual psyche and world mythology, she manifests as an inconsistent creature. Jung characterizes her character as 'bipolar.' She can appear positive one moment and negative the next; now young, now old; now mother, now maiden; now a good fairy, now a witch; now a saint, now a whore. Besides this ambivalence, the anima also has ‘occult’ connections with ‘mysteries,’ with the world of darkness in general, and for that reason she often has a religious tinge." Jung also described archetypal events, in addition to figures such as the hero and warrior. He explained that certain key events in our lives, such as birth and death, marriage and initiation, all inform our life experience in similar ways. No matter who you are or where you live, you have a shared experience when you encounter one of these life-altering events. Furthermore, Jung talked about certain motifs in the archetypical consciousness. The apocalypse, the deluge, and the creation, for instance, are all part of our shared psychic phenomena. By understanding how we, as humans, relate to these archetypical symbols, we can better understand our own place in the cosmos and gain insight into our place in our society and culture. 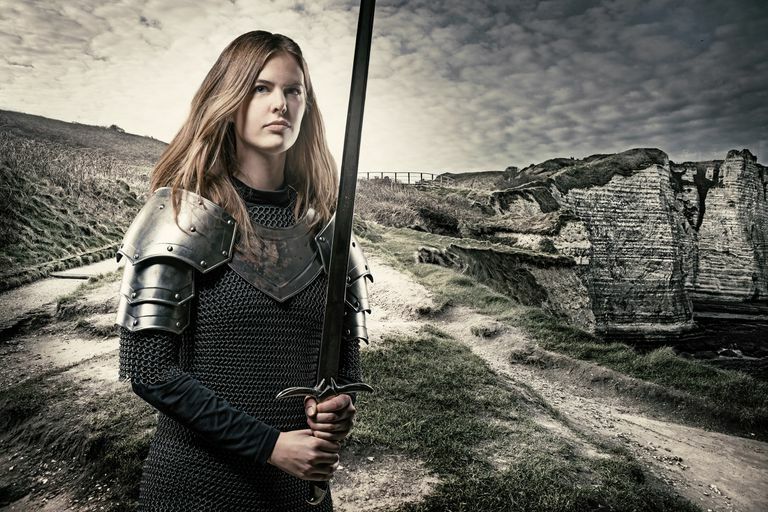 The hero archetype appears in legends from societies around the world. Mythologist Joseph Campbell pointed out that individuals from Hercules to Luke Skywalker epitomize the role of hero. To truly fit into an archetype, an individual must meet certain characteristics. Using the hero as an example again, to be a true archetypical hero, one must be born into unusual circumstances (orphan, raised by uncle on a barren planet), leave home to embark upon a quest (become a Jedi), follow a perilous journey (Darth Vader wants to kill me! ), and take advantage of spiritual help (thanks, Yoda!) to overcome obstacles (Ow! My hand!) and ultimately succeed in the quest. "There is something universal about the hero archetype. We all have an inner hero and we are all on a journey through life that in many ways parallels the journey of the hero. I believe that this is why the hero factors into so many of our movies, music and books. But for some, the archetype holds a special significance. Perhaps you can relate to the hero in a more personal way than others. This could mean that you can call the Hero archetype one of your personal archetypes." In a religious context, many pagan spiritual paths, both ancient and modern, rely on archetypes. Some traditions honor a goddess or god, in which the sacred masculine or divine feminine is celebrated. This is often rooted in a system of archetypes.